The production of good sports cars is not only the prerogative of large, world-famous automakers. 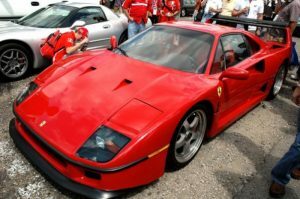 Increasingly, small companies, recently created specifically for the production of high-end supercars, are making themselves known in this market. In particular, there are such attempts in the post-Soviet space. About the 5 most interesting domestic sports cars of recent years, we will tell in this review. The most famous attempt in the entire post-Soviet space to create a successful sports car on the world market is the company Marussia Motors established by showman Nikolai Fomenko and businessman Efim Ostrovsky. This company was established in Moscow in 2007, and in the very first year of its existence, it introduced the first concept sports car, which was later developed into a Marussia B1 car. Subsequently, another, improved version of it – Marussia B2. The car Marussia B2 had a V-shaped 6-cylinder engine of 2.8 liters and a power of 420 horsepower, thanks to which it could accelerate to a speed of 250 kilometers per hour. The company Marussia Motors loudly announced its offspring in the world, it has invested heavily in a marketing company, participated in the largest car dealerships, including in Frankfurt. There was even a team of the same name in Formula 1 racing, but all this did not bring real success to the manufacturer. In 2014, Marussia Motors announced the termination of its activities due to financial problems. 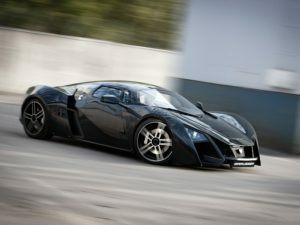 Over the years of its existence, the company has released only twenty cars Marussia B1 and Marussia B2. In the spring of 2014, Marussia Motors ceased to exist, and in August a new project of a domestic sports car was introduced in Russia. In the wake of the universal patriotism that swept the country after the March events, the promising domestic sports car was called the “Crimea”. Crimea is the development of the Moscow State Technical University named after Bauman. It was presented in August 2014 at the Moscow Motor Show in the form of a full-size layout, and the start of the limited edition of this sports car is scheduled for 2015. Sportcar Crimea is based on the chassis of the car Lada Kalina. 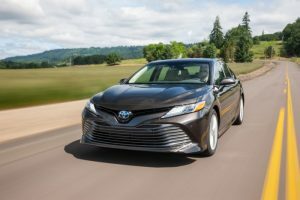 This will allow to reduce the cost of production to the maximum, as well as save the owners of the car from the lack of details in the service centers and service stations. 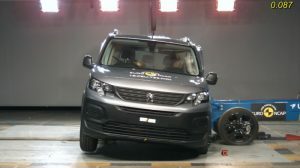 But over time, the authors of the project plan to create their own technological stuffing for it, in order to develop the car into a completely independent and full-fledged model. Ukraine also dreams of starting production of its own sports car. Recently, experts from the Zaporozhye tuning company Askaniadesign Carstyling Studio presented the design of the car, which still has a very strange, working title “First sports car of Ukraine N1”, but in the future it may still change to a more capacious and catchy name. At the moment, the technical characteristics of the car First sports car of Ukraine N1 is unknown. 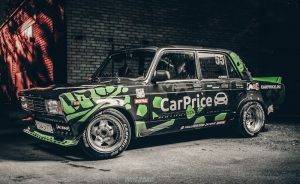 The car exists only in the form of a full-size copy, which is located in the museum of the ZAZ automobile plant (Askaniadesign Carstyling Studio has been cooperating with this legendary production for many years). The authors promise to submit a working version of the machine in the spring of 2015. In Askaniadesign Carstyling Studio promise that the First sports car of Ukraine N1 will become a very affordable sports car. Its price will range from 50 to 100 thousand American dollars, depending on the configuration. The Latvian company Dartz Motors is well known to fans of expensive, status cars. 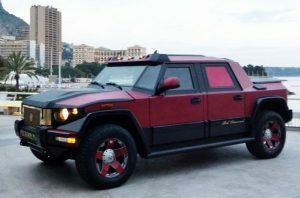 This manufacturer, who calls himself the direct heir to the traditions of the pre-revolutionary Russo-Balt, produces several models of piece cars, designed for the most affluent buyers in the world. One of the models that are in the development of the company Dartz Motors, is the car Dartz Prombron Nagel. The manufacturer positions this car as the world’s first armored sports car.